Sometimes, the “why” of a cosmetic surgery procedure is just as important as any other factor. Here are a few simple questions to ask yourself before deciding on plastic surgery. 1. Why am I considering plastic surgery? Obviously, the best reason to consider a cosmetic procedure is to improve your self-image and how you feel about yourself. There are a bounty of good things that flow from a good self-image: more confidence, more effectiveness in work and social arenas, more confidence in personal relationships. 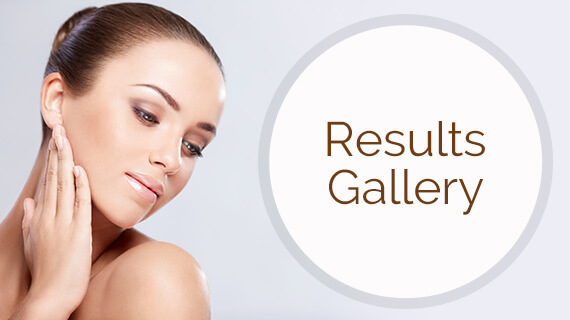 Improving your appearance as a means of improving your self-image is a good reason to consider a procedure. 2. Is it for me or them? Cosmetic surgery should be about you with your deciding factors being fully internal reasons, rather than external. Cosmetic surgery does not “fix” issues in the patient’s life that are completely outside of their control — like how others will feel about you or treat you. Do not have surgery to please anyone other than yourself. 3. What are my expectations? The first step in making a decision about plastic surgery involves knowing what result you want and determining if that desire is realistic. Cosmetic surgery is not magic, and it has its limitations. Be sure you research your desired result and discuss it with your surgeon so that you will go into your procedure with realistic expectations of the anticipated result. You’ll be so much happier in the end. 4. Am I prepared emotionally? Be aware that most surgeons are reluctant to consider taking on patients who are depressed, have significant mental illness, are impossible to please or are obsessed with perfection. Be sure, as well, that you are not in the midst of a life crisis that might make surgery inappropriate at this time — upheaval due to divorce, family death, job loss, etc. 5. Is not the time? Don’t push yourself into any corners over your procedure. Plan it for when you will have time to relax and recuperate. You’ll find this speeds your healing time. 6. Am I prepared for the change? Adjusting to a new body image may take time — especially facial surgeries. Are you ready to deal with those changes? 7. Am I ready for unexpected results? Cosmetic surgery comes with no guarantees. Rarely, unexpected results may occur and create emotional distress for everyone involved. Be prepared for the worst-case scenario and the time and trust required for you and your surgeon to work toward improvement. 8. Am I alone in this? It is vital to have some type of support physically and emotionally following surgery. Choose your caregiver carefully and avoid well-meaning friends and family who may be critical of your decision. 9. Do I know the risks? All surgeries carry some risk. Be sure you have discussed those risks with your physician and carefully considered each prior to any procedure. 10. Can I afford surgery? Cosmetic surgery is most often not covered by health insurance. Be sure you can afford the cost of your procedure and keep in mind that further procedures may be needed down the line that would require additional cost. To schedule a consultation with Dr. Rich or to learn more about our practice and services, please call 281.286.1000 or provide us with your contact information. For more on our consultation process, visit our Consultation Page.